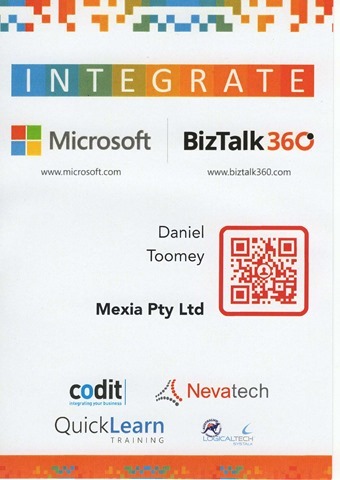 Thanks to the generous investment of my employer Mexia, I had the enormous privilege of attending the Global BizTalk Summit in Redmond last week, organised by BizTalk360 and Microsoft and entitled “Integrate 2014”. As with all these events, I treasure the opportunity to meet face to face with the top minds and achievers in the Microsoft integration industry, catching up with old acquaintances and making many new ones. In case you haven’t already heard, there was a jaw-dropping revelation to most of us in the room during the second presentation by Bill Staples. Most of us were anxious to hear about the anticipated new release of Microsoft Azure BizTalk Services (MABS). Version 2.0 was expected to include a greatly enhanced Visual Studio design surface, workflow (orchestration), a business rules engine, a framework for building custom adapters, and much more. But all of that changed when Bill showed a slide that revealed the new cloud App Platform with “BizTalk Microservices” at the core. So what exactly are “BizTalk Microservices”? Answer: a set of discrete reusable components with a HTTP/REST endpoint that can be assembled as needed into composite services. It is essentially, “build your own integration app” by choosing from a wide selection of microservices from the gallery and/or building your own. The services are hosted in the same app containers used by Azure Websites today, which promises all the mature scalability features afforded by that platform. Pretty much every feature we are used to employing with BizTalk can be implemented as a microservice, including validation, debatching, transformation, workflow, business rules, EDI, etc., and we can expect that the gallery will come fully stocked with all the basic elements when the preview of this new platform reveals itself in March/April 2015 – including connectors for most common protocols, enterprise apps, and enterprise SaaS. So… is BizTalk Services Dead? In a word… no. It’s just being re-packaged. While we’re not sure what the final name for this platform will be, the community seems to be adopting “Azure BizTalk Microservices”, or “ABMS”. Furthermore, we have been assured by the product team that existing solutions based on MABS 1.0 will continue to be supported for a considerable length of time – a big relief to our customers who have already invested in this technology! In fact, Microsoft IT has heavily invested in the platform. But it is clear that we need to start thinking about cloud-based integration in a whole new way. 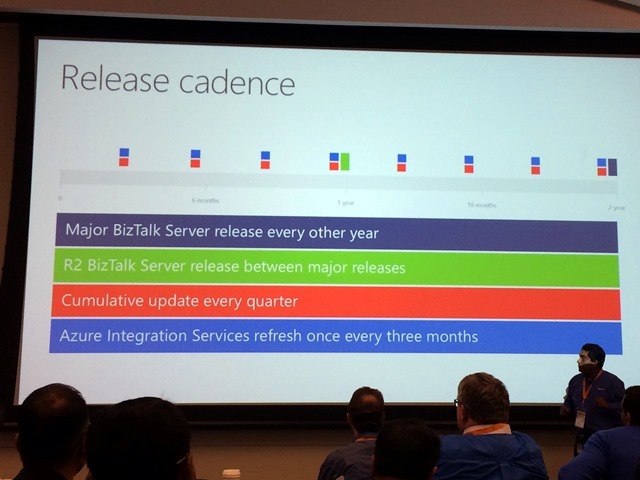 Senior Program Manager Guru Venkataraman made it absolutely clear that BizTalk Server 2015 is still on the road map, consistent with Microsoft’s long-standing commitment to a regular 2-year major release cadence. 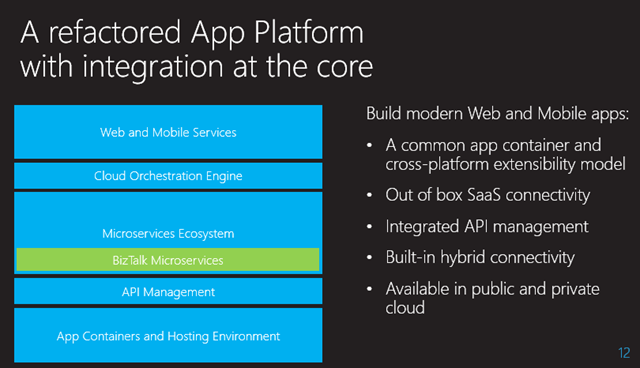 Microsoft is well aware of the importance of on-premises integration and the power of hybrid solutions. We can expect that new versions of BizTalk Server will include further enhancements to facilitate the implementation of hybrid integration solutions. We can also expect that the Microservices App Platform will be available via an Azure Pack – so you can employ the same technology both on-premises and in the cloud. Personally, I think the move to microservices is an excellent architectural approach in terms of the flexibility, scalability, and customisation opportunities it affords. It also seems like a way to bridge the current gap between the on-premises and the cloud integration platforms, by way of the Azure Pack. And finally, although we have no visibility to the pricing model yet, I expect that this will make it feasible to bring some of the more commonly used BizTalk components onto the playing field for lightweight integration scenarios without incurring the heavy cost model incurred by the present offerings. After touting BizTalk Services for a year and a half, the sudden change in direction might rattle customers’ assurance in the steadfastness of Microsoft’s integration vision and their commitment to the BizTalk brand. It has taken years to recover from the “BizTalk is dead” rumours that spread throughout the industry a while ago; we must be careful to manage the introduction of this new approach so that this mistaken perception does not proliferate again. Based on what we saw in Redmond last week, the platform still has a long way to go before it is “production ready”. If the initial release of the platform is lacking in too many features, it will undermine the confidence of our customers and make it difficult to sell even as the product matures over time. Fortunately, the product team seemed highly receptive to our comments and no doubt will take onboard all the feedback it has received from the event last week. 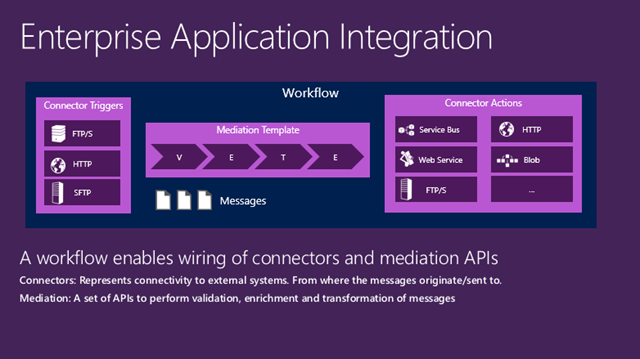 In any case, it is an exciting time in the world of Microsoft integration! Finally, I’d like to express my congratulations and gratitude to BizTalk360, Microsoft, and the co-sponsors who made Integrate 2014 possible. It took countless hours to organise this event, and the results were highly impressive. I look forward to seeing many of these folks again at next year’s Australian BizTalk Summit! Hi Dan, It was greate meeting you again this year. I loved Integrate and this years BizTalk Summit in Australia. It was a dream come true and hope to return next year in 2015!